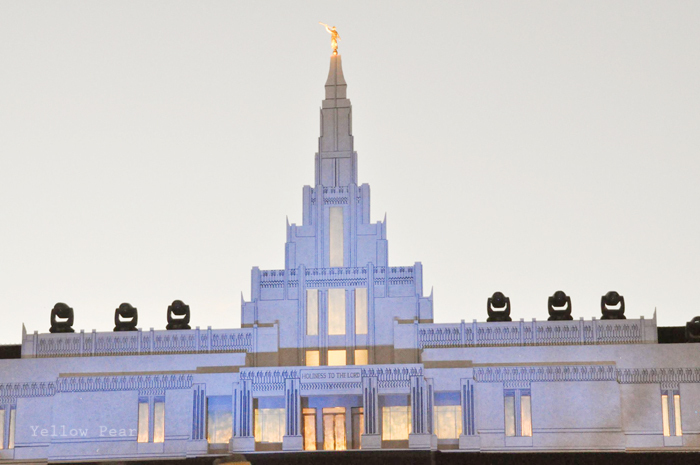 The Phoenix Temple was dedicated in November. We have been waiting so long for it to be built, so we were thrilled beyond belief when it was completed. 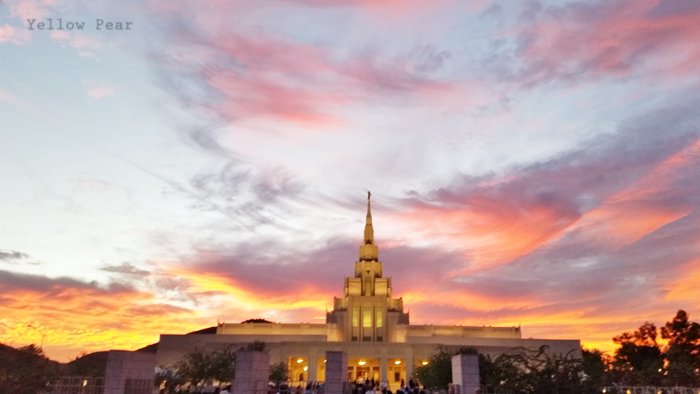 It is much closer to us than the Mesa Temple, and we are super excited for a shorter drive and our own special temple. 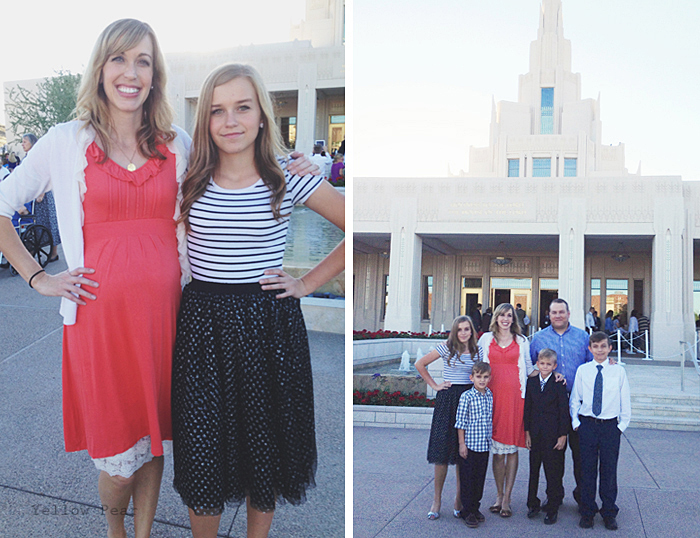 The temple was open to the public for tours in October and we took our family on October 14th. The kids loved it and it was so special to share that moment with them. We loved all of the beautiful art work and gorgeous rooms. After that, my hubby and I worked as volunteers taking groups through. We both worked one night together for about four hours. It was AMAZING and we had the most beautiful sunset to match! 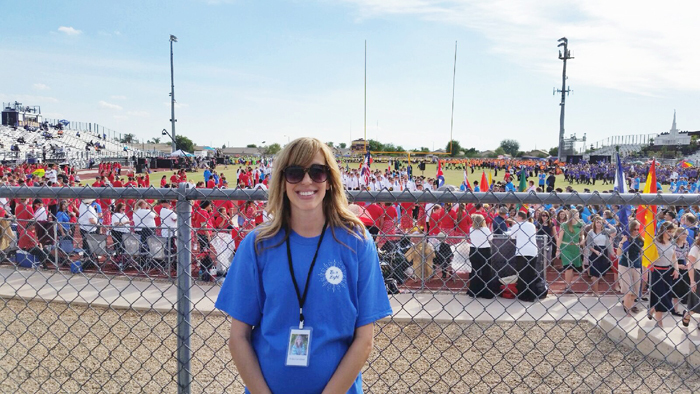 I loved every minute of it, but I was about 7 months pregnant at the time and I was quite tired after. :) However, my hubby went back a few more times to help. 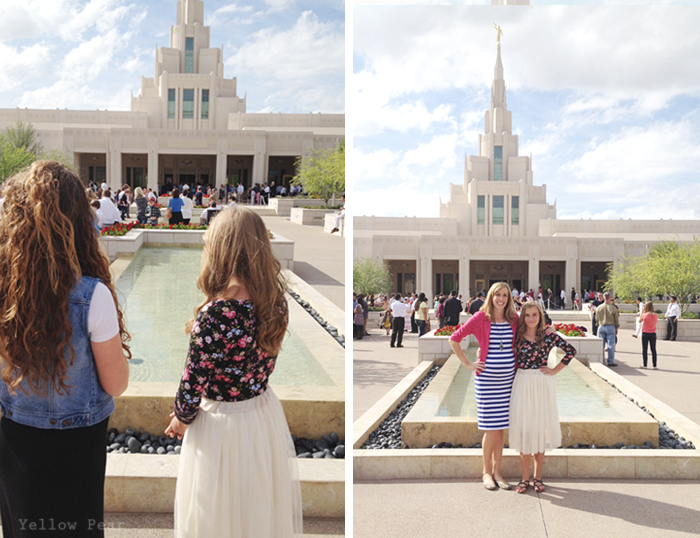 I took Miss B and two of her friends to tour the temple on the very last day. 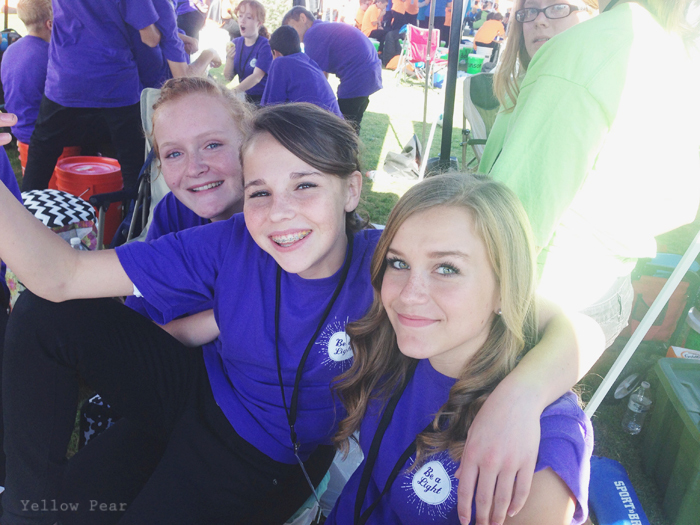 It was really busy but the girls enjoyed it and we had a great time. 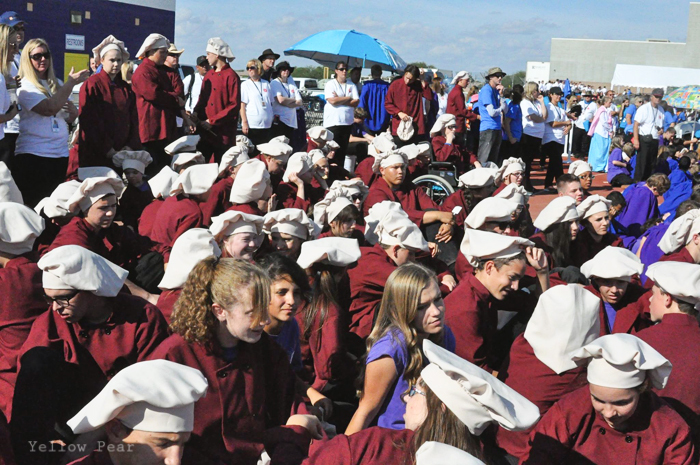 For about 2.5 months leading up to the dedication, 4,000+ youth practiced and practiced for a cultural celebration in honor of the new temple. Our ward was in the Talent and Testimony section of the celebration. 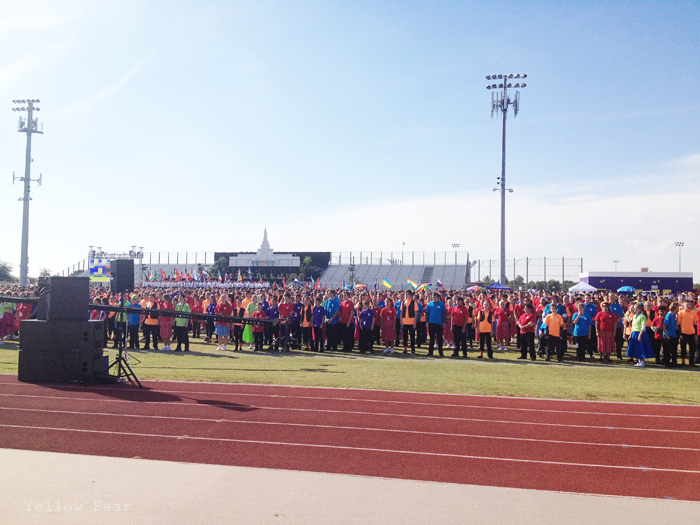 They were chefs and danced with the rest of Region 5's different talents, such as basketball, art, karate, and singing. 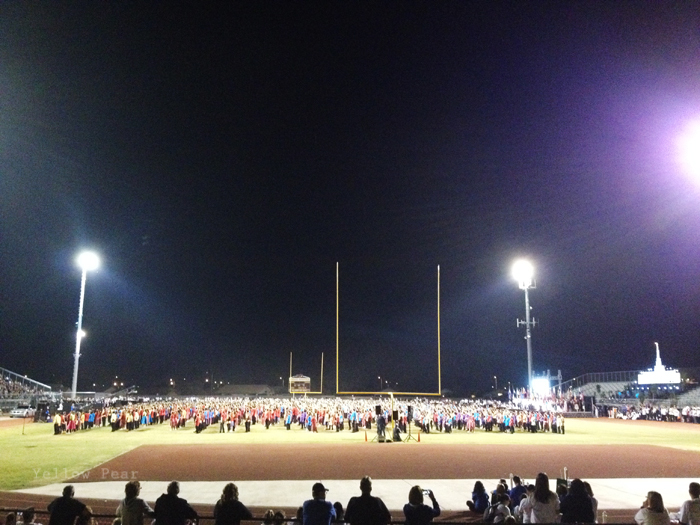 They did such a wonderful job and it was so amazing to see all of their hard work come together. I kept crying the whole day...it was so touching and beautiful. My hubby and I helped prepare and serve dinner to all of those kids and leaders! 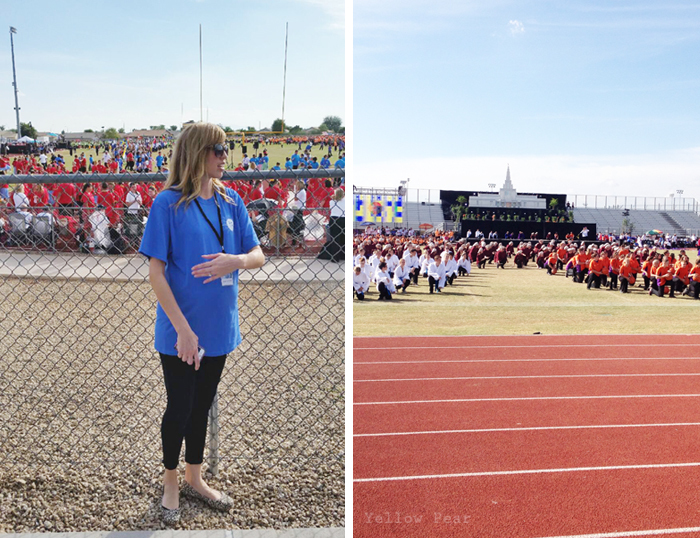 I was so glad I was able to participate and watch the youth perform the songs I had watched them learn even though it was a long day for me at about 36 weeks pregnant. The kids practiced for two entire Saturdays, not including the many Wednesday night practices they had already been to. 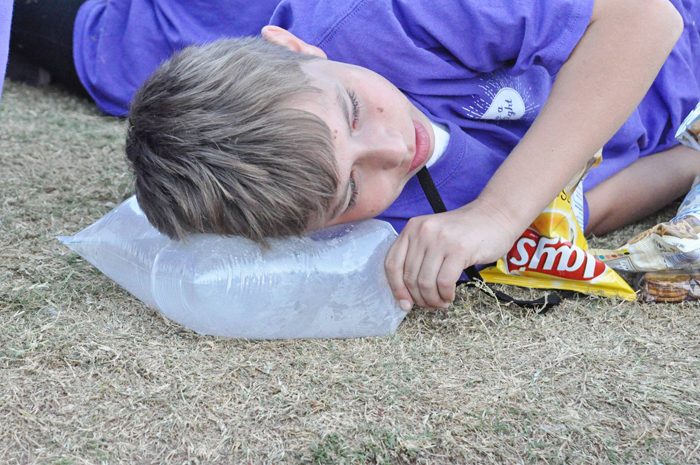 They were long, hot days and I am so proud of them for sticking it out and doing a wonderful job. 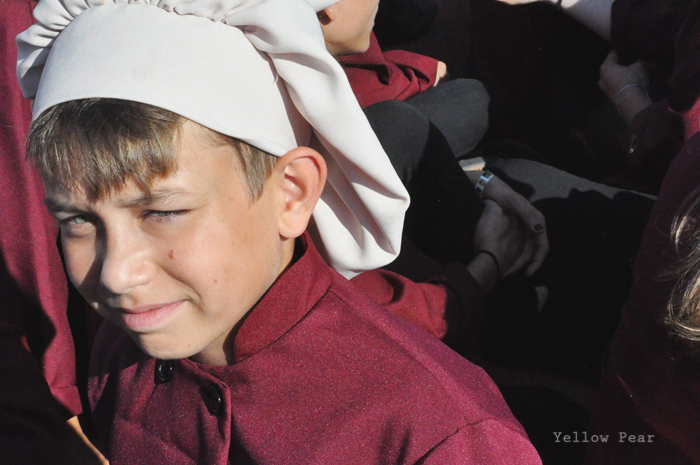 The prophet came to watch their performance and Pres. Uchtdorf spoke to them. Both of my kids said it was a surreal experience. They couldn't believe they were actually performing for the prophet and apostles! The temple was dedicated the next day and it was beautiful of course. Even my in-laws who came to help with kids during the celebration were able to attend. We were so grateful they could come and stay with the little boys and watch the event on television. 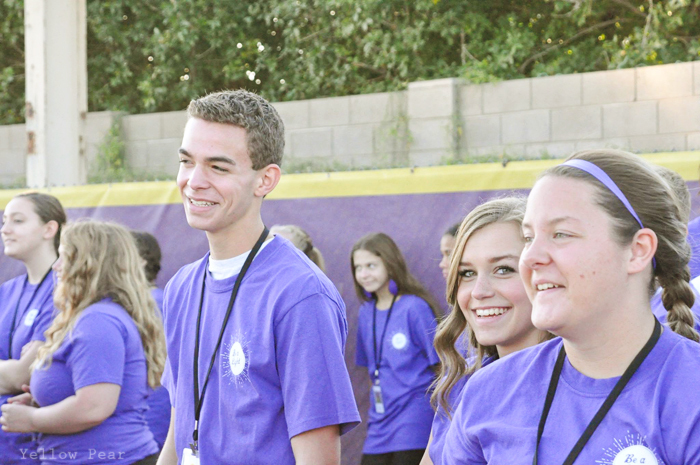 I feel so blessed to have been able to be a part of this wonderful experience with my family and the youth. I have such a strong testimony of temples and that families can be forever. 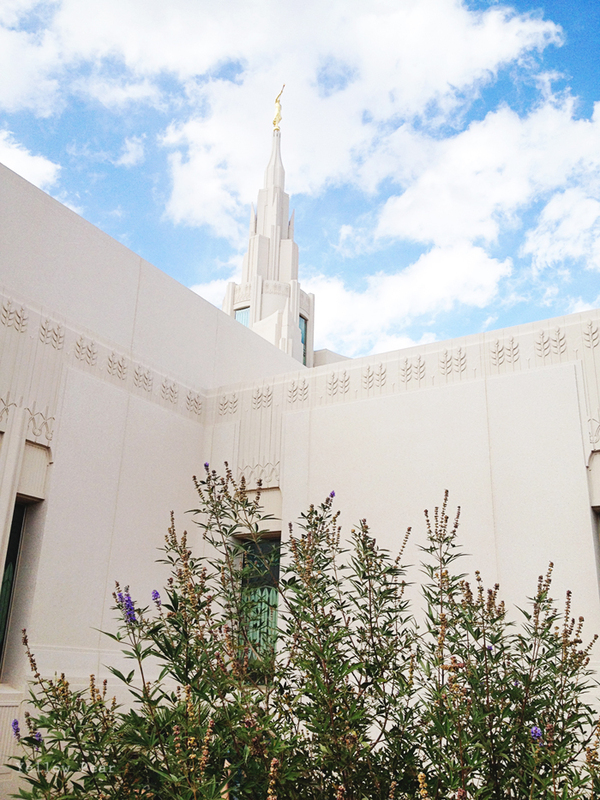 I can't wait to photograph the new temple properly. Hopefully it will be soon, now that the baby is getting a little older! That was such an awesome experience!! And we need to go photograph the Temple before it gets too hot!